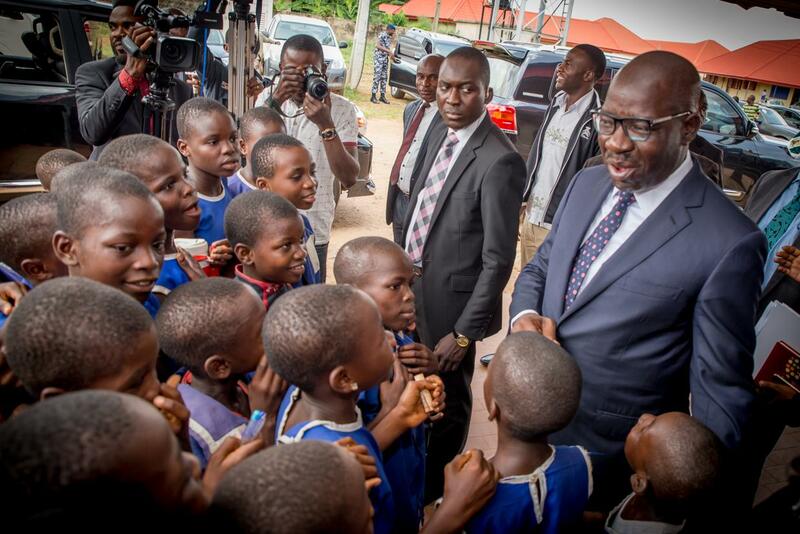 Edo Governor, Mr Godwin Obaseki has revealed his administration’s intention to adopt and domesticate the federal government’s Home Grown School Feeding Programme (HGSFP) in the state before the year runs out. The governor made this disclosure at the National Home Grown School Feeding Programme Workshop in Benin, on Tuesday, where he said that the benefits of the feeding programme outweighed the promotion of basic education, but would also boost agricultural and economic activities in the state. He continued that the HGSFP was critical and important, and was one of the key policies that the state would prioritise and adopt. The governor said that the state would make funds available to extend the feeding programme beyond Primary 1 – 3 to accommodate pupils in primary 4 – 6. He said: “When children are hungry, their attention and retentiveness reduces and this makes the learning process tedious, but when they are mindful that they will be given a meal in school, they will like to go to school to learn’’. To facilitate this, Governor Obaseki explained that access roads would be linked to farms to allow for easy evacuation of farm produce while people would be encouraged to invest in storage facilities, adding that his administration would work with the federal government to provide electricity to enhance efficient use of technology in primary schools in the state. Meanwhile, the National Operation Manager of the programme, Mr Dotun Adebayo said the HGSFP national workshop was to build capacity of stakeholders on the implementation of the programme in the Edo. In addition, he disclosed that the workshop would develop a state-specific framework that was compatible with the state in the domestication of the programme and that the commitment of the state governors was key as they would need to legislate for the sustainability of the programme at the state level.